When you run a publicly traded company, cybersecurity becomes significantly more important. A major hacking event can hurt your share price. It can also call your financial statements into question. That’s why you need to understand how and why the Securities and Exchange Commission (SEC) is raising the bar. Hoping and praying you avoid hacking isn’t going to cut it anymore! Before reviewing what happened in 2018 at the SEC, take a step back for some critical context. Note the emphasis on risk assessment and the probability of cybersecurity incidents. If recent years have taught anything, it’s this: security incidents and risks are steadily increasing. Now, with that background in hand, what did everyone learn from the SEC’s 2018 announcement? What Did the SEC Say About Cybersecurity in 2018? Not only did the company agree to pay the $1 million penalty, but it’ll also have to face difficult questions about the quality of its cybersecurity for years to come. This decision came a few months after an announcement of increased expectations on cybersecurity for public companies. Arguably, the brand reputation damage is much worse than the fine. What Do These SEC Cybersecurity Requirements Mean for Your Company? If your company is already regulated by the SEC, it’s time to shape up! Regulators expect a higher standard of security protection and procedures. The smart money says that keeping up with those expectations will be difficult for companies that rely upon manual and ad hoc procedures. Having a cybersecurity policy in place isn’t good enough; you need to put those practices in place. By the way, living up to these higher expectations isn’t just for public companies. Do you want to go public? Alternatively, are you interested in being acquired by a public company? In either case, it makes sense to be proactive in boosting your standards before you face fines and reputational damage. If you want to avoid painful attention and fines from the SEC, then listen up. Three areas are recommended for assessing and improving. Neglect any one of these areas and you’ll be at heightened risk for hacking and fines. Set out the principles that guide your approach to security. You should define roles and responsibilities, as well. For example, who’s responsible for creating cybersecurity training? What accountability do people managers have for guiding their people? In highly regulated industries such as banking, design your policy to correspond to regulation. Additionally, set a review cycle for the policy (e.g., review and update the policy annually to ensure it makes sense as conditions change). At the ground level, what will you ask staff to do? 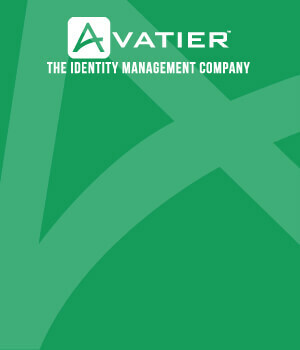 For example, do you have an employee offboarding process to reduce employee fraud risk? Start with defining procedures for the IT department and managers. To be useful, procedures should be simple and short documents. If they’re complicated, your employees will struggle to implement them. When the SEC calls to ask about your cybersecurity program, how will you answer its questions? You don’t want to improvise in this area! The better approach: implement a reporting and monitoring system. For reports sent to senior management, develop a simple dashboard that highlights trends and top issues. Use the CIO guide to building a dashboard for cybersecurity to get started. By this point, you might feel completely overwhelmed. The brand you’ve spent years developing can be destroyed in minutes by a hack. There’s no foolproof way to avoid hacking, but you can improve security without spending every hour of the day worrying about it. The solution lies in using security software solutions. These tools make reporting, password management, and identity control easier to manage. Look at two quick use cases. Use Password Station to end the number one problem for the help desk: non-stop requests for password resets. 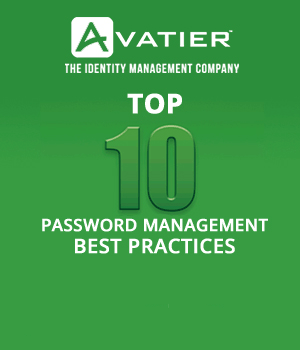 While you’re working to improve your password practices, make sure you provide employee password training. Honestly, most employees are quietly frustrated with the hassle associated with cybersecurity. That’s why you need a single sign-on solution. Instead of scrambling to remember multiple passwords, your employees can use a single ID and focus on their work.